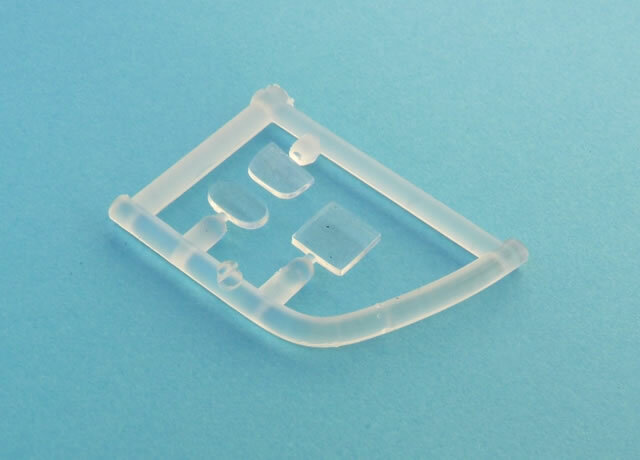 124 tan coloured injection moulded plastic part; three parts in clear; 29 photo-etched parts. 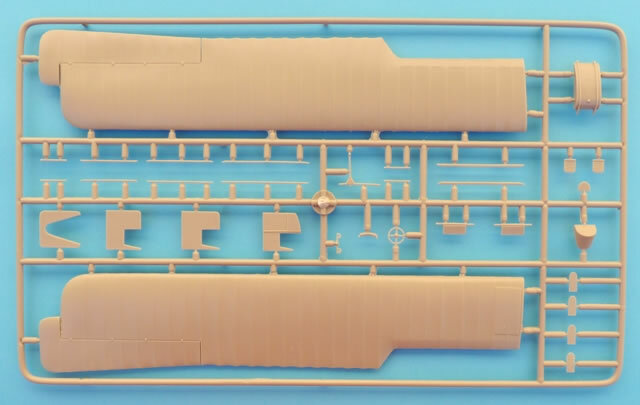 Excellent mouldings with good detail; wings with sharp trailing edges and subtle rib tapes; outlines conform very well to published plans, includes some useful photo-etched parts; decals in perfect register with thin carrier film. Missing window and some decal option issues. No bombs included. 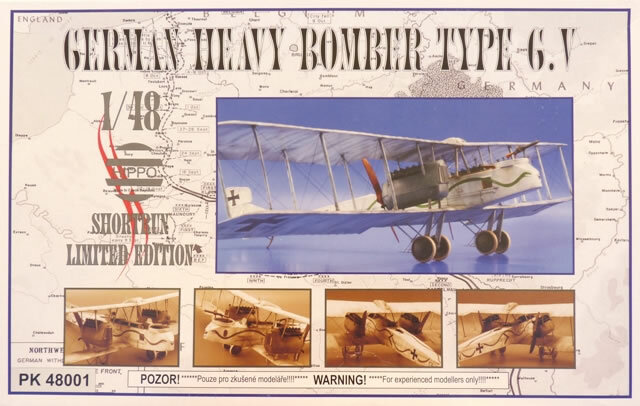 Thanks to Hippo, the Gotha G.V makes another appearance in 1:48 scale. Although it’s not perfect, all of the basic elements are catered for to allow a sound replica of the original. Don’t be scared off by the boxtop warning “for experienced modeller’s only”. 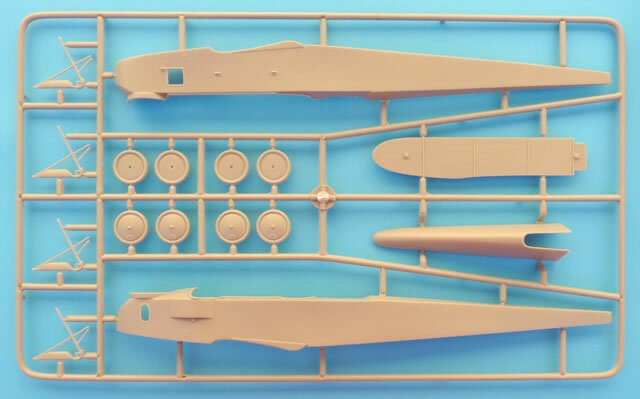 All this really means is that some skills will be needed for the photo-etched parts, rigging and the “pinning” of the wings.... easily accomplished if you have tackled a biplane or two in the past. For those of us with a fondness for the famous Gotha bomber, things are looking pretty good at the moment. Not only can we indulge ourselves in new kit releases, there are new publications as well. The popular scale of 1:48 hasn’t seen many of these aircraft. We had the Aurora G.V in the late 1950s, which although quite inaccurate by today’s standards, was a good effort for its time. When the Copper State Models G.III came onto the market, we were in heaven. Now we have a new kid on the block and it’s the G.V that once again makes an appearance. Fortunately it’s a well produced kit but there are a few things to look out for along the way. 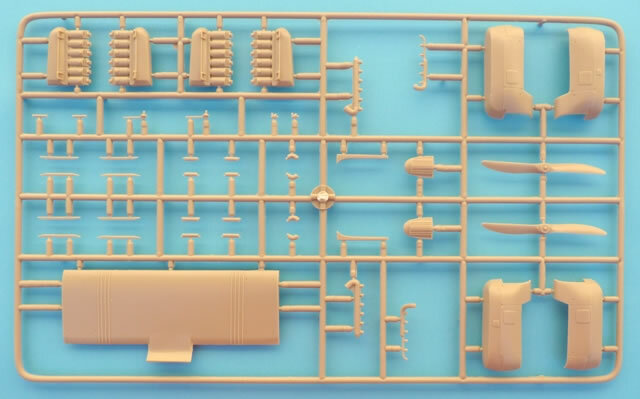 Presented on four tan coloured sprues, we have a total of 124 plastic parts with an additional clear sprue catering for the windows and windscreen. 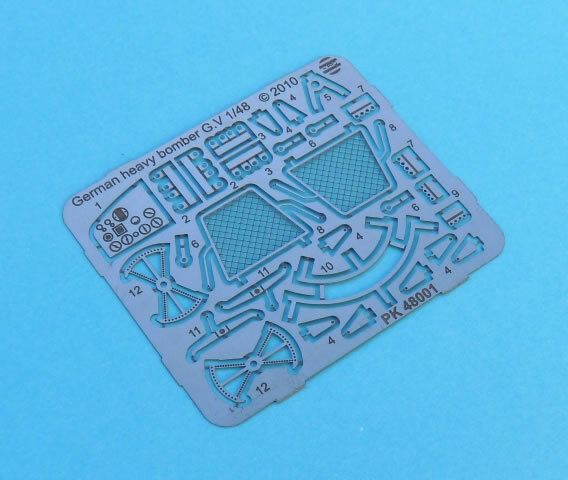 Added to this is a photo etched fret which provides another 29 pieces, and completing the package is a decal sheet that offers markings for a single aircraft. 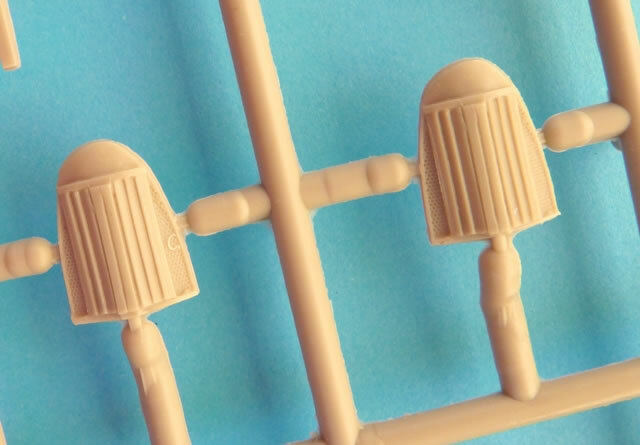 All of the plastic parts are well formed with good detail and no obvious deformities. A couple of ejection pin towers can be found inside the fuselage halves but these can easily be cleaned up and removed. No locating pins are present so a little care will be needed during assembly. A warning on the boxtop advises that this kit is for experienced modellers only. As such the builder is expected to provide much of the detail themselves. 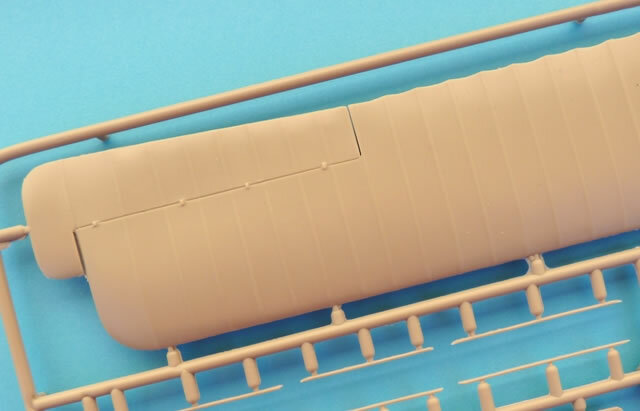 This includes the interior framework as Hippo only supplies the floor, “fuel tanks” and bulkheads. Some smaller items are catered for, which come in the form of seats, steering wheel, and rudder bar. 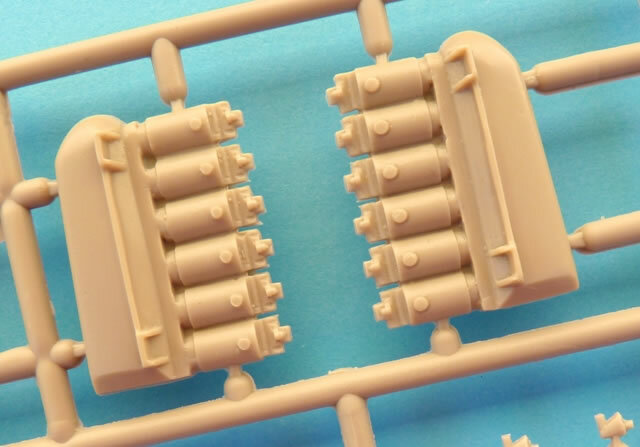 Pilot controls, fuel and air pump, bomb release levers and the like, will all have to be made from scratch. The instrument panel comprises of a photo etched part (uncoloured) that is glued to the rear of the cockpit partitioning. 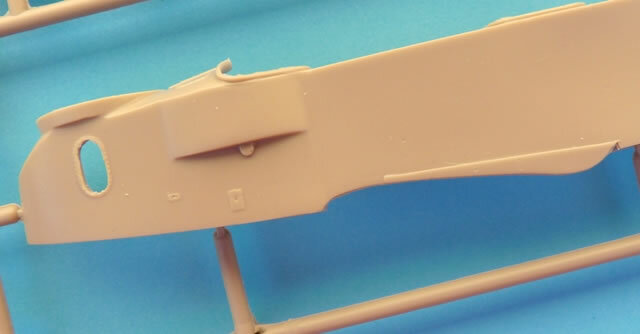 The moulding of the wings is very good, requiring only minimal cleaning up of each flying surface. The ribs are represented by subtle tapes and the trailing edges are commendably thin. As per the original, they are broken into sections so some pinning will be required for strength. The delicate struts are all to scale and thankfully the plastic is strong enough to support the structure. Photo etched parts take care of the finer elements in the kit. 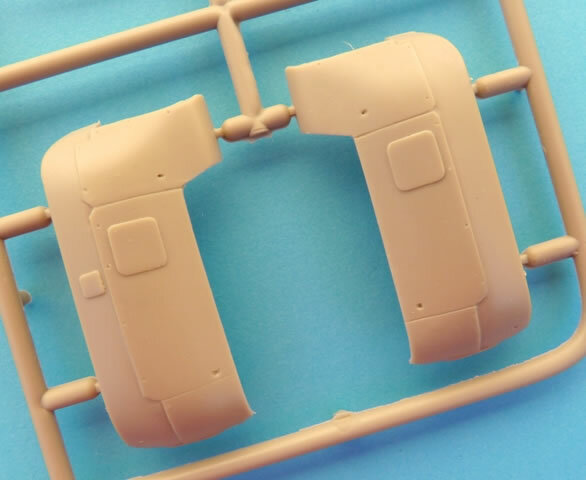 These include such items as the control horns, machine gun mount, and the all important propeller guards. 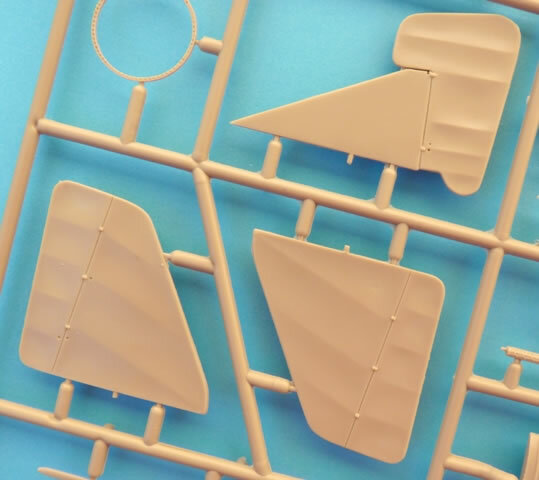 An interesting idea from Hippo is their decision to use this material for the control cable guides that run along the fuselage sides. These will certainly help ease the rigging process. All of the major components conform well to published general arrangement drawings, those used here being Ian Stair’s set found in the 1994 Albatros Publications “Gotha!” Datafile Special. However there is one frustrating omission and this relates to one of the starboard windows below the bomb aimer. Even if this was painted over (and some were, including 670/17 during its career), there should still be the representation of a frame. Arming your Gotha with bombs will also be problematical as they are a surprising exclusion from this release. Speaking of transparencies, one would expect to see one above the instrument panel. The outline is present but unfortunately it’s a solid piece of plastic. So if you wish to replicate an aircraft that didn’t have this area blacked out, you will have to open up this region and also find some clear film to fill the resultant gap. A rigging diagram is included on the instruction sheet and this also deals with the outer control cables. The decal sheet contains some of the thinnest carrier film you are ever likely to see and each item was printed in perfect register. While the foregoing is all good news, there are some items that will raise a few eyebrows amongst the aficionados. Hippo have gone against convention and decided to include a black outline around the national crosses and chevrons. While this interpretation can be altered by those with a steady hand, the omission of the aircraft’s serial number is inexcusable. It should be 670/17, as flown by Walter Aschoff who was the commander of Staffel 17. It was photographed in early 1918 and can be seen wearing the image of a snake down its fuselage sides. 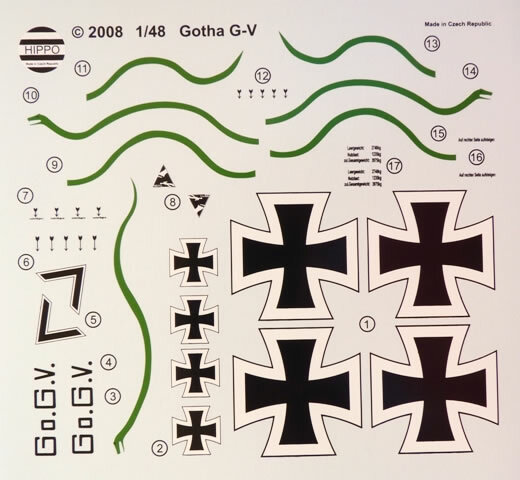 Stencilling and the all important Gotha logo are included. With just a little bit of extra work, Hippo’s Gotha G.V will turn into a fine replica of the original. 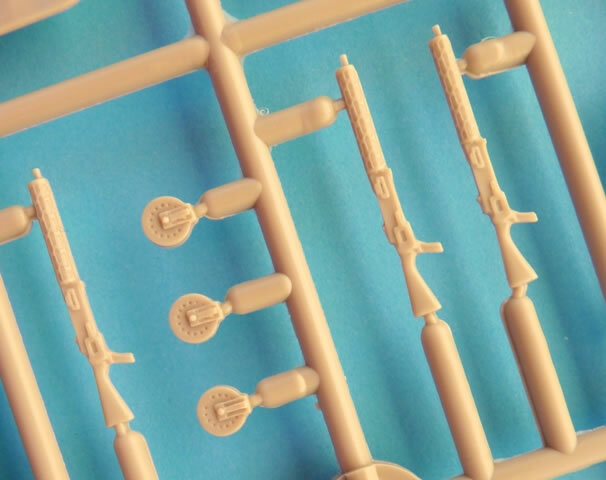 After all, it is a “limited run” kit and designed for the experienced builder, so one is expected to do more than just “assemble” the bits. The few problem areas are frustrating but they are not insurmountable. 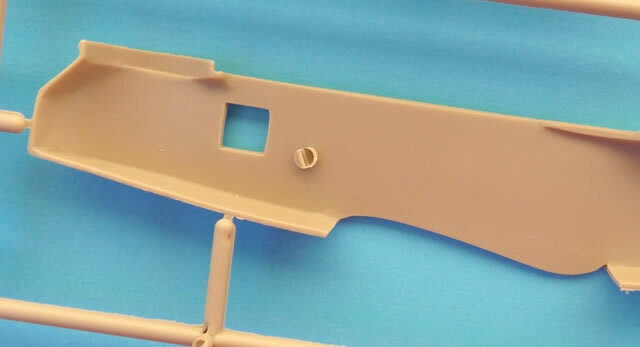 A window frame can be fabricated from sheet styrene and the missing serial number manufactured from spares. Constructing the correct font could prove difficult so perhaps this is an opportunity for Rowan at Pheon. Overall it’s a very welcome addition to one’s Kagohl 3 airfield. Thanks to Hippo for the sample.